The picturesque mountain village of Adelboden sits on the edge of 185km ski area, shared with the neighbouring spa village of Lenk. 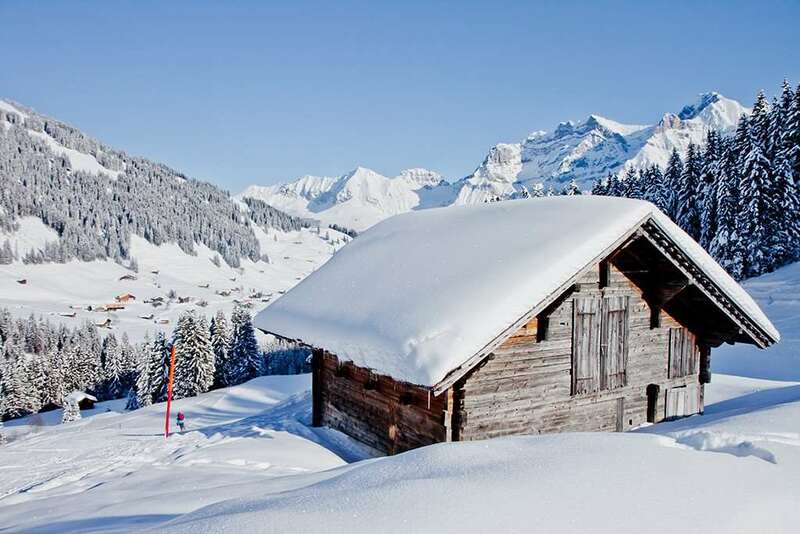 Adelboden offers an extensive range of slopes stretching across the valley, divided into five attractive areas: Elsigen-Metsch, the Tschentenalp, Silleran - Hahnenmoos and Lenk - Betelberg. The alluring combination of sunshine and snow will ensure a relaxing atmosphere, reinforced by the lack of queues and good snow, to give visitors a traditional Swiss skiing experience. All slopes are equipped with snow making facilities which adds the natural snowfall for more guaranteed skiing throughout the course of the winter season. Après ski in Adelboden is mainly low key, however there are some good bars, discos and also a local cinema. For something a bit more lively, there are the typically Swiss mountain hut restaurants and snow bars in the ski regions. This charming resort offers a wide variety of restaurants offering great selections and choice to suite anyone's taste buds. Local history museum, Wood Carving "Trummer", Cinema, traditional mountian cheesemaker, wellness/fitness studio. Take advantage of the great swiss rail and try out the rail service to other resorts. For Adelboden's infrastructure and the services it provides this resort has been presented with the Families Welcome award of excellence. Zurich is the nearest aiport to Adelboden which is around 190 km from resort which is accessible via car or bus transfer. Wide variety of runs with a really easy blue at the top, which is great for warming up or just having an easy time. The runs are very varied, some are graded red, with black bits! Plenty of mountain restaurants. Good ski hire shop at the bottom of the gondola station and lockers too. Lift pass covers a wide area. Adelboden as a village is great, supermarket, lovely shops, museum, a proper alpine town. It is easy to do an independent trip here via train and bus, very efficient. There is a good taxi service in the village too. Plenty of walks and things to do off the slopes. Great resort and good skiing. We stayed in Boden where the piste was well looked after and we could ski back to the lift station. We are looking forward to next year.